Reputation is imperative to a local, family owned and operated business. Bob Sadler started Sadler Company Incorporated of Greenville in 1984, after 15 years as a construction manager for another local home builder and developer. He has since been joined by his two sons and his son-in-law. After over to 40 years of designing and building houses in Greenville and surrounding areas, Sadler Company knows how important it is for each Sadler home to represent their definition of quality. 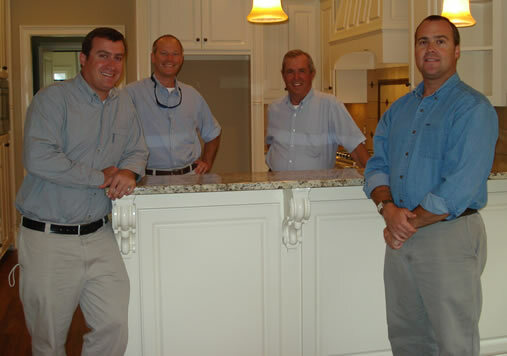 Sadler Company has built homes in many of the upstate’s most recognizable communities. From permanent and retreat homes in the Cliffs Communities and at Lake Keowee, to custom designed homes in the historic district and many sought-after and exclusive subdivisions in Greenville, each Sadler Company home is built with the same attention to detail and level of quality that they know their customers expect. This attention to detail involves incorporating a customer’s needs into a home which "lives well" for their lifestyle. The level of quality starts from the beginning and continues throughout the process and beyond. This quality is reflective of their commitment to using the finest craftsmen and local suppliers to furnish and install the selections of the customer. The end result is one which, they are proud to say, continues to build their reputation.